« For Kids: POP with Book & Puppet Co. The Valley’s hottest veggie race returns for its 12th year! Get ready to squash the competition in this fun and zany race. 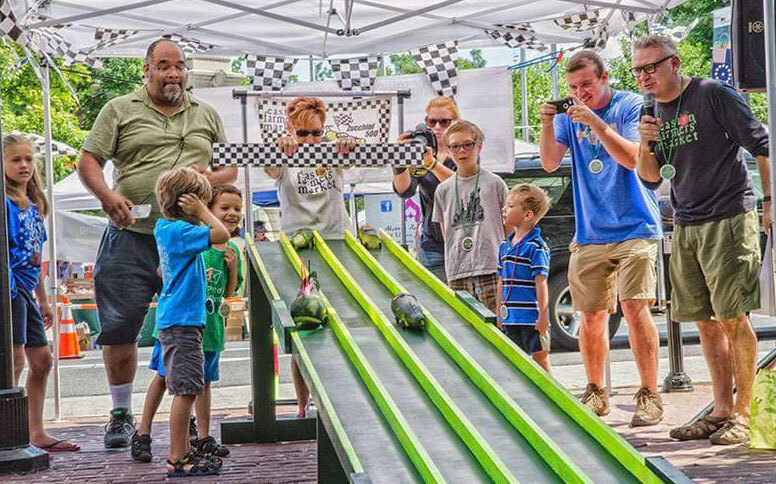 Entry fee $6 or free for POP Club Members – includes your choice of zucchini, wheels & axles, commemorative racing necklace, and access to carving tools and accessories with expert assistance from the Zuke 500 Pit Crew. Carving period 9 am – 10:45 am. Race begins at 11:00 am. Prizes will be awarded for the fastest car in each category: Sports Car, Mid-Size and Monster Truck. Cars may be pre-carved but wheels must be attached directly to zucchini. Chassis or platforms of any sort are strictly prohibited. Don’t forget to visit the Zucchini 500 photo station where you can snap a pic of your friends or family in a zucchini car! Sponsored by Flemington Car & Truck Company.